Welcome back to the David vs. Goliath train, which continues at full-speed ahead, despite my reservations every single week that something is inevitably going to derail it, probably in the form of a crazy twist. What I loved so much about this tribal council was that even though, yes, it was determined by twists in the form of idols, it was something that could have happened in any season since the idol was introduced back in Guatemala. Idols can hardly even be considered a “twist” anymore, rather a game element that was introduced a few seasons late, like returning players or people named Jessica. 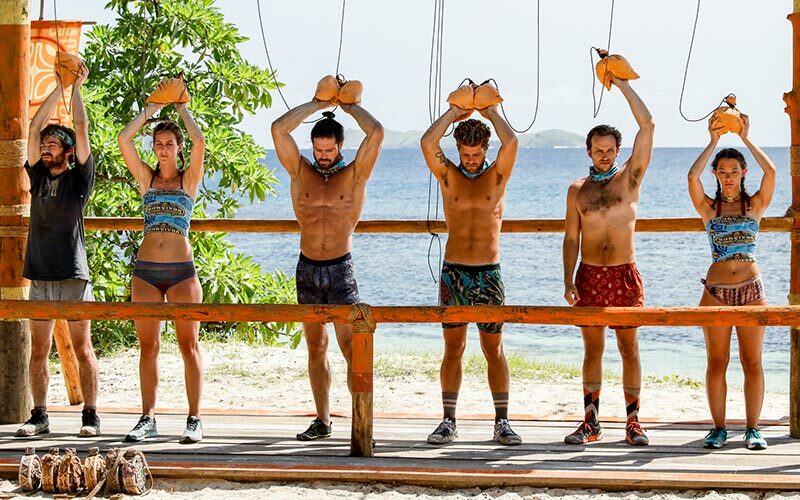 Between the vote steal and the idol nullifier, there were so many ways this vote could have gone, but ultimately it felt like a refreshing reminder of what Survivor can be when you just let Survivor happen, which is the greatest show on television. I will admit, I was skeptical about where the storytelling was going this episode. To set up the clash of Angelina vs. Dan, the feminist vs. the cocky dudebro, only to have him defeat her in the final two of the immunity challenge, had my head spinning. It never in a million years occurred to me that Dan would use the idol on Angelina at tribal, wrapping up the “Dan is a moron” storyline with an incredible act of repudiating exactly what we had just seen him say: That Angelina had to go when they got the opportunity, and that he would absolutely not use the idol on her. It is a stark reminder to never underestimate the unwavering truth that Dan is both dumb and an insecure ego-holic, a combination that leads to a lot of lying or stretching the truth in order to impress whomever he is currently speaking to. People like Dan are obsessed with being impressive, it’s why he can’t let go of the fact that he used to be something “undesirable” (fat) but through hard work and his incredible moral character (eye roll), he has become “better,” (thinner) by doing something difficult. He wants everyone to marvel at that progress, to be awestruck by what he has overcome, because he needs the validation, especially because he has so little going for him personality-wise at the moment that he has to rely on something that he used to be to be his main character trait. This means that even if he is not intentionally lying, he will say whatever the person he is currently talking to wants to hear the most so that they will feel grateful to him, and he can feel like he is calling the shots, whether that’s telling Angelina he will protect her or turning around and saying the exact opposite thing to Alec. I don’t believe he’s being intentionally untruthful in either conversation, I think he just doesn’t actually know what he wants to do or what the best move for him is, so he’s taking cues from pleasing other people while still convincing himself that he’s making the decision. On the other end of my favorite spectrum this episode (since my number one for life Gabby was nowhere to be found, outside of being the queen of picking a pizza team), is Angelina, who won me over episode one by spitting straight stats about women finding idols, and this time read my mind in confessional by venting about the universal female experience of saying an idea, getting ignored, and then a man getting applauded when he says it louder. There is of course something to be said for the fact that in Survivor, there are right times and wrong times, and therefore what may have been the wrong move last week when Angelina suggested it could be the right one now, but for everyone to emphatically nod when Mike “points out” that Christian is the biggest threat, when Angelina was shut down last week justifies her frustration. And besides, for all the talk about how off-kilter Angelina is in the game, she does have the sense to only bring this up in confessional and keep her head down while Mike is pitching this plan, and never goes off on anyone despite her reasonable annoyance. It sours the episode only ever-so-slightly that all of this fantastic gaming and character-building comes at the cost of losing John Hennigan, a man who I will admit I was nervous to stan because male professional athletes are not known for being the kind of people I generally align with, until I got on good authority that he is in fact a woke legend, so we can all rest easy and pay our respects to the most Goliath of them all being taken down by a man literally named Davie. Speaking of which, Davie’s dominance really rose out of nowhere here, after him being completely invisible last week. Everyone’s so high on Nick for having connections with everybody, but I’d argue that Davie is doing the exact same thing but runs less of a risk of burning people, since Goliaths like Mike might feel burned by Nick sticking with the Davids over their Rock Star alliance. Davie never made any such allegiances, and therefore his flashy move can garner respect, whereas a similar motion from Nick might beget feelings of betrayal. Maybe it’s just my personal distaste for Nick, but I’m putting all of my hopes in the Davie basket for now, because each week that goes by seems to lessen the chance of a female winner. Between the edit’s relentless (and totally unsuccessful) attempts to get me to dislike Angelina, and the relative invisibility of Kara, Alison, and Gabby, it’s important to me that we get a winning character more dynamic than a Nick or a Mike, so a Davie or even Christian (who is not my personal favorite but certainly inarguable in terms of his merit as a character and a player) well-earned win would really put a bow on this stellar season. Because of this, I am choosing to believe that the vote steal advantage that Nick is currently in possession of will continue to be a curse, or at least not a help, and will somehow blow up in his face. This is the reality that I choose to live in, and no one can stop me! Then again, it wouldn’t be a great season if I didn’t have a few people to root against in addition to the so many that I am pulling for. At the end of the day, I’m just so happy Survivor is Survivor again. Thanks for joining me on this ride, see you next week!